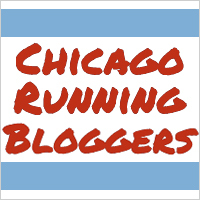 Here are some things that I am LOVING lately! I've fallen in love with about 4-5 different podcasts as well as these, but I wanted to pinpoint my longest standing favorites! If you're rewatching Friends on Netflix (like I am), I highly recommend Best of Friends Podcast. I swear, Erin Mallory Long is my spirit animal. If you love Gilmore Girls then I HIGHLY recommend this podcast. It is about 2 guys discussing every episode. Demi has never seen the show before while Kevin has been a fan since the beginning. If you are watching along on Netflix for the first time, there are no spoilers for Demi's sake. I think their iTunes description really gives a great description of the podcast. Do you awaken in a cold sweat every night, fearing that two men will never start a podcast on Gilmore Girls? Kiss your night terrors GOODBYE. Veteran fan Kevin T. Porter and newcomer Demi Adejuyigbe go deep into Gilmore Girls episode by episode with special guests to analyze, praise, mock, and gab like gals about all things Stars Hollow and beyond. Seriously, these dudes are SUPER into Gilmore Girls. I'm still in the middle of season 6 and I've stopped watching as I've now gone back and am re-watching episodes to go along with the podcast! Haha. I actually heard about this podcast through Gilmore Girls as they've referenced it in their show and Jason Mantzoukas has also been a guest. I only recently started listening and I cannot stop laughing. 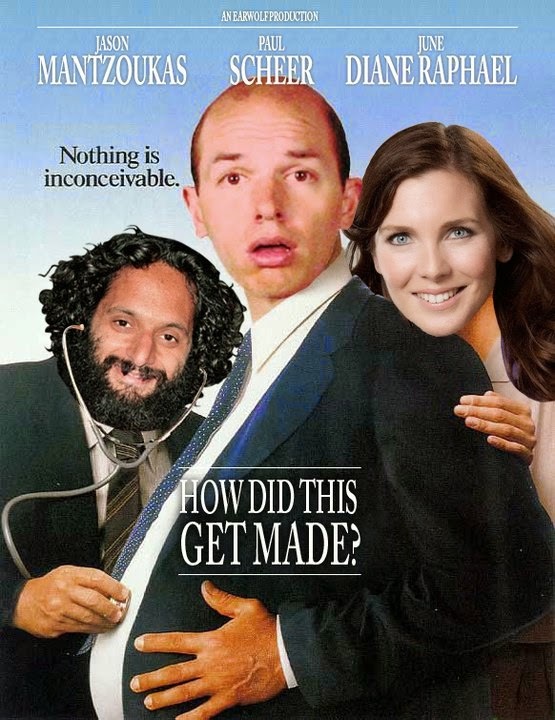 It is a podcast where 3 very funny people (plus an occasional great guest) discuss bad movies, point out plot holes, and ask the important questions that us viewers want to know. Is Nicholas Cage supposed to be seen as attractive in Con Air? Why do those psychotic kids hate Hulk Hogan so much in Mr. Nanny? Why is Howard the Duck rated PG? These and more are discussed on the podcast. My suggestion is that you don't listen to it in public unless you want people staring at you while you're laughing out loud to yourself. This drink is pretty much my summer JAM. I discovered it about 2-3 years ago and have been addicted ever since. 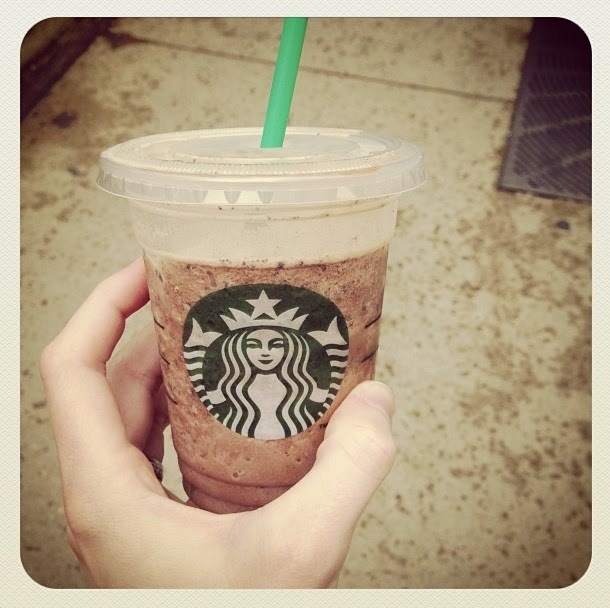 It is a coffee frappuccino with dark/semi sweet chocolate chips mixed in. It isn't overly sweet like most of the other fraps which is probably why I like this one. If you're dragging extra hard, you can always opt for the extra shot of espresso (as I sometimes do). YUM. After hearing about this show for literally years, I've finally started to watch it thanks to Netflix. 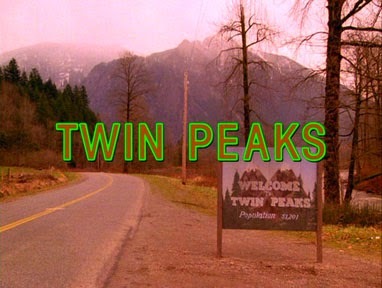 I've made it this long without discovering Laura Palmer's killer and I'm excited to see who it is! I've started season 2 (where I hear it kind of fell off the rails a few times) but I'm looking forward to finishing it after the CFA exam! And can I say that the lime green outlined font drives me CRAZY, yet it is very distinctive of the show! 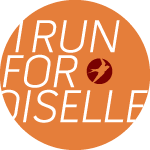 It is no secret that I am an ambassador for Oiselle. Last year they came out with the Gwen tank. I haven't given it a try until recently and I am in LOVE. 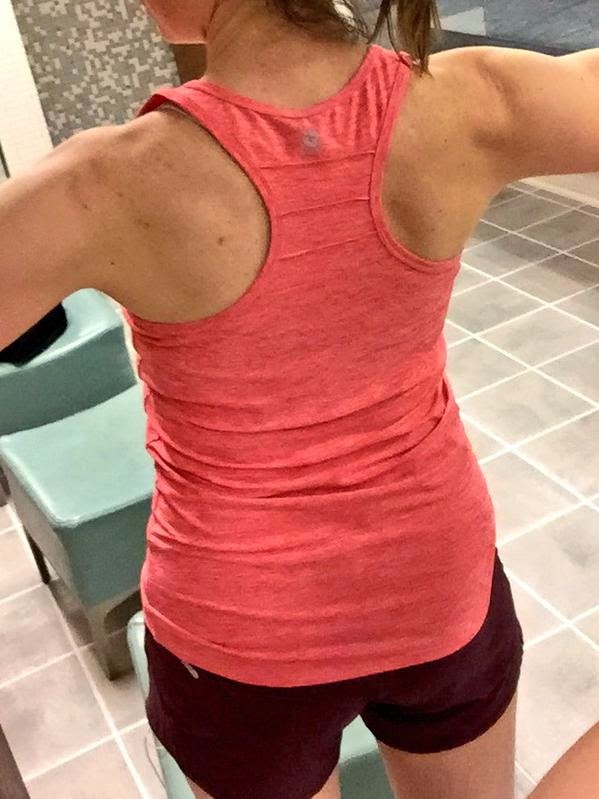 It is made of the super soft lux material and it hides an ugly extra supportive sports bra well with its razor back design. Oh and the "punch" color matches the burgen color (that I have so much of) pretty well! I think this will be one of my favorite outfits this summer! 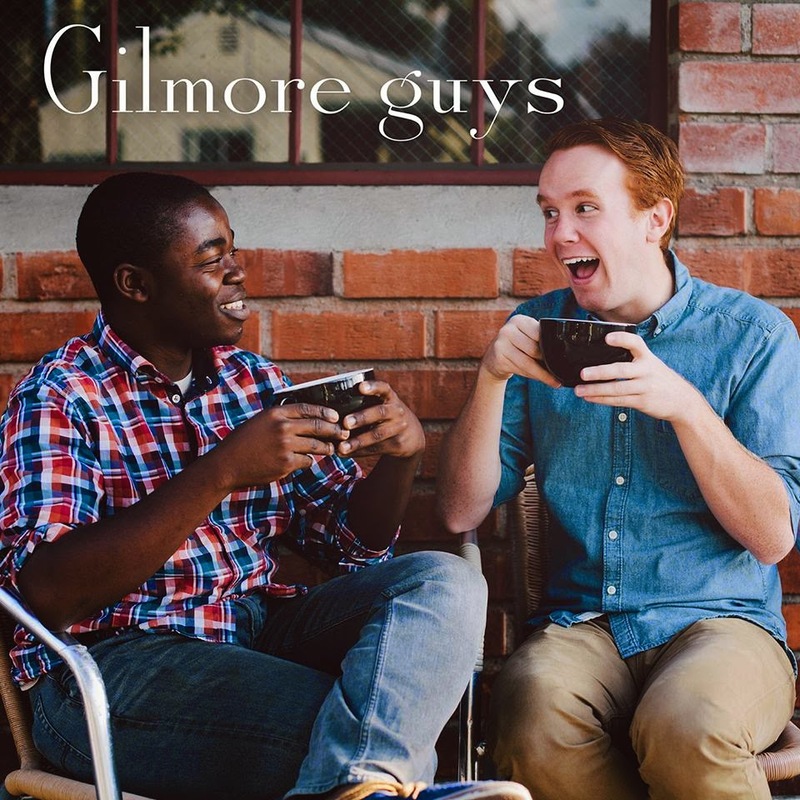 Oh my goodness, I am LOVING the Gilmore Guys! I hadn't heard about this but loved the Gilmore Girls series. It's cracking me up. Thanks so much for sharing. I'm so glad you are enjoying the podcast! They just did their first live show last night with guest Jessica St. Clair for the season 3 finale. I cannot WAIT for it to air on the podcast! I'm addicted to both punch and rosy. Such good colors!